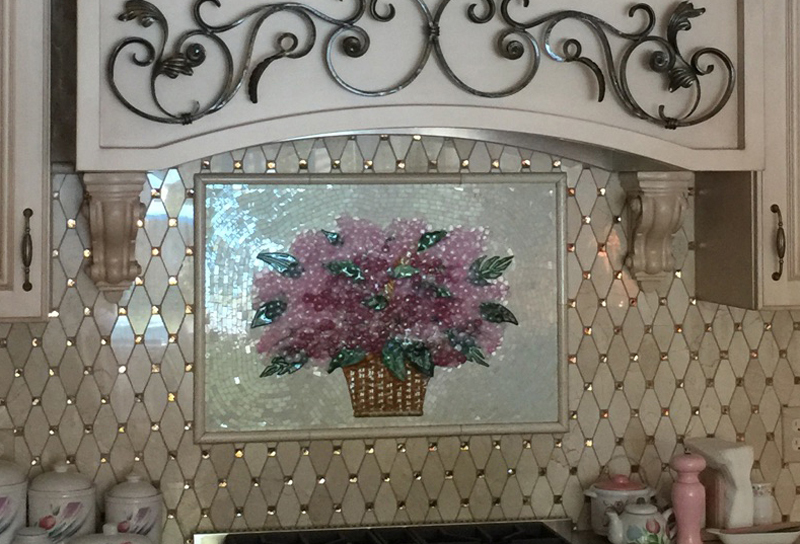 We created this fused and mosaic glass pink hydrangeas backsplash for our client’s stunning new kitchen in Ohio. 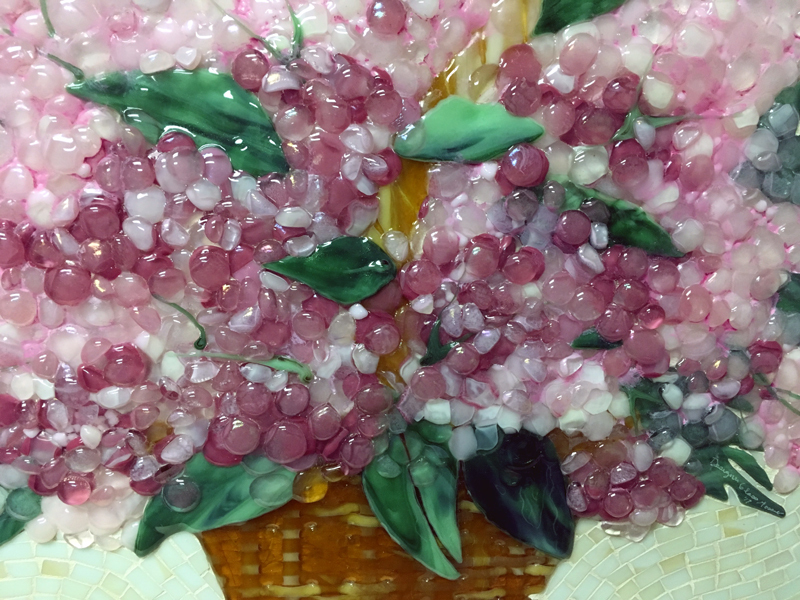 We also made the three coordinating pendant lights in the same pink dogwood motif. 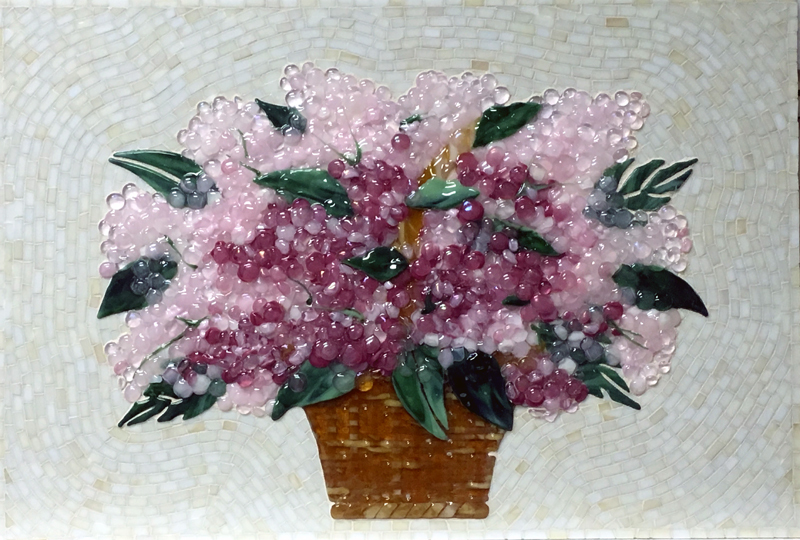 The basket of hydrangeas art work is 19″ x 28″. 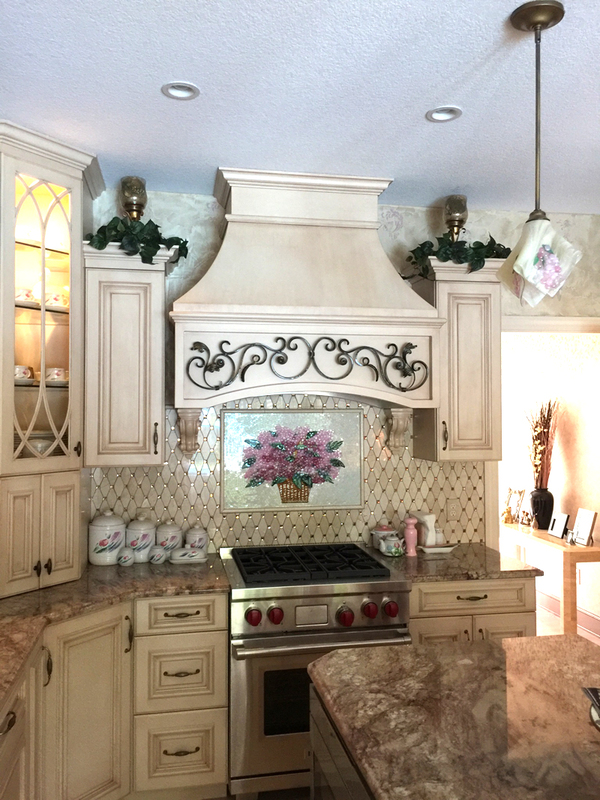 The three pendant light are purposely stretched through the kiln slumping process to reach 10″ in length.